Huge demand for the 11th Dartmoor Classic cycling event, which will take place on Sunday 2nd July 2017, has resulted in sell outs for all three routes, with places for the Medio route (67 miles) and Grande route (107 miles) being snapped up in record time. An estimated 6,000 riders attempted to register for the 4,000 available places, which pits participants against themselves in a ride of endurance across some of Dartmoor’s most spectacular routes. Places for the two longer routes were all taken within the first 24 hours, while the last few places for the 37 mile Piccolo were booked on Monday. To celebrate the success of the registration, The Dartmoor Classic has announced the unveiling of a new a state of the art jersey for the event. Produced by Castelli, which Team Sky - the world's leading cycling team and home of Tour de France winner Chris Froome - has just adopted as its clothing partner for the coming 2017 season, the Dartmoor Classic jersey is expected to be a huge hit with riders. Featuring a number of technical features including body hugging aerodynamic paneling and temperature regulating material panels to maximise rider comfort - the limited edition jersey will only be available to riders registered for the event. 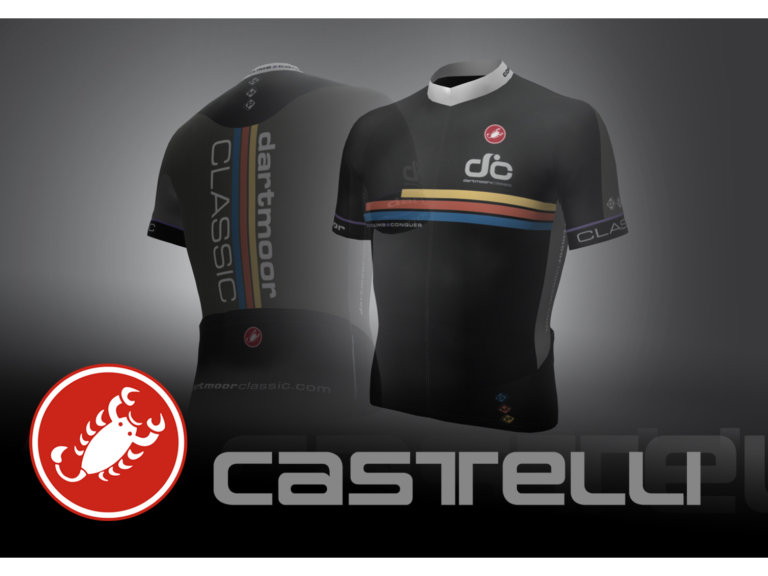 The new jersey has been created as part of a collaboration between the Dartmoor Classic team and Castelli's UK distributor and Dartmoor Classic principal sponsor, Saddleback UK Ltd - based in Bristol. The design features three coloured bands representing the Piccolo, Medio and Grande ride challenges that participants will be able to tackle on 2nd July next year. Marshalled by over 120 volunteers and organised by the Mid-Devon Cycling Club the Dartmoor Classic regularly receives accolades for both the professional nature of its management and for its commitment to assisting local causes. Since its inception over ten years ago the event has helped raise over £150,000 for local organisation and charities. Any surplus made from Dartmoor Classic registration fees, sponsorships and purchase of merchandise is shared between local charities and Mid Devon Cycling Club. The Club uses funds to support coaching and development of young and aspiring riders. The event also helps to bring hundreds of thousands of pounds into the local economy. According to Visit South Devon, the one-day event regularly brings in over £500,000 in terms of visitor spend on accommodation, food and drink. Last year over 3,500 riders of the 4,000 entrants made it to the start line at Newton Abbot Racecourse. 50% of those came from outside Devon with entrants travelling from as far as China, the USA, France, Thailand and Canada. This year registrations have again come from all areas of the country and from overseas expanding the appeal of the event and Dartmoor to cyclists across the world. As in past year riders will have times within which to complete the event in order to attain gold, silver or bronze medals. This year’s sponsors already include Saddleback, Castelli, SiDi, Rotor, ZipVit, Shimano, Madison, Ocean Torbay BMW, Yellow Jersey, Continental, and STRAVA.